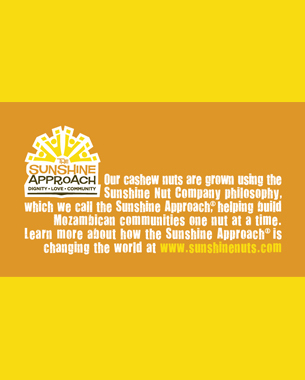 The Sunshine Approach is the name given to the company philosophy of the Sunshine Nut Company, which aims to uplift with their unique business model. The logotype need to reflect upliftment, without the expected hand imagery, and instead uses a strong sun graphic made up of 4 figures with their hands raised. © 2011 Birdesign. All Rights Reserved.